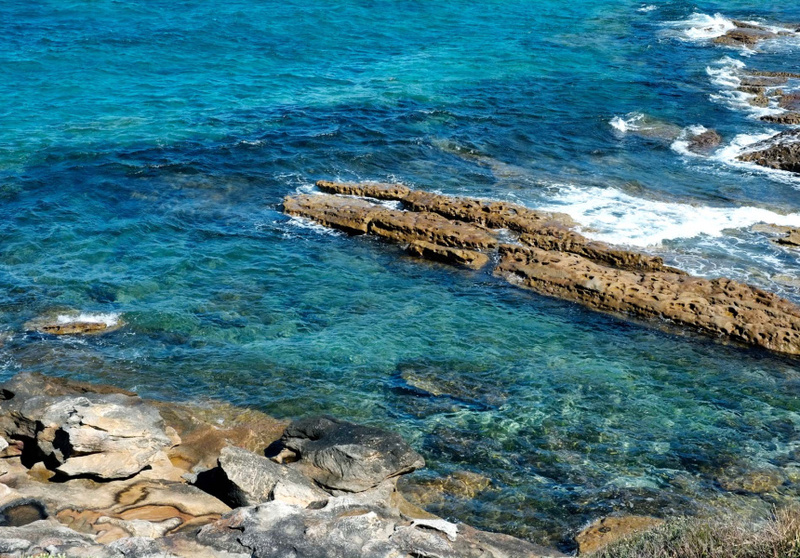 South of Sydney lies a gorgeous coastal trek through a national park. 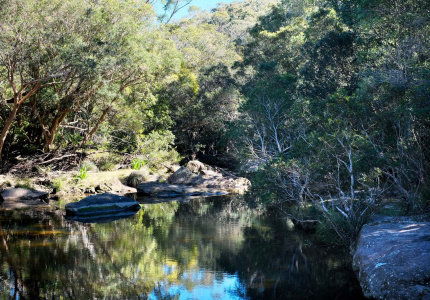 In partnership with NSW National Parks, we highlight one of the area’s treasures. An undulating track past secluded beaches, stunning cliffs, big skies and open oceans, all while offering plenty of exercise. Sound familiar? 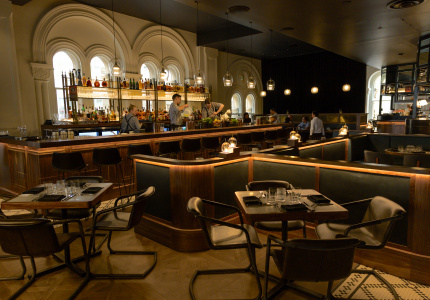 No, it’s not the Bondi to Coogee Coastal Walk. 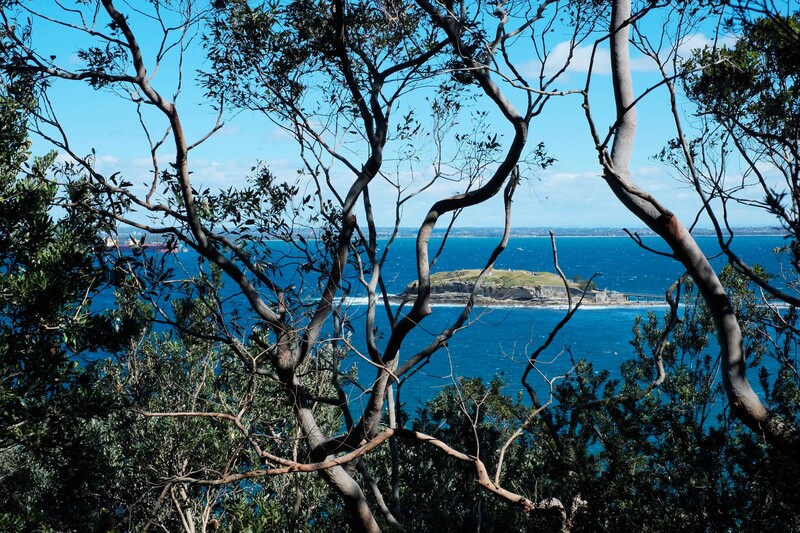 The La Perouse to Little Bay Coastal Walk is a treasure of Kamay Botany Bay National Park. 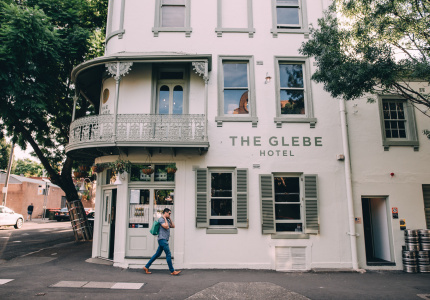 Less than an hour away from Sydney on public transport, it offers a perfect day’s adventures of exploring, swimming and sightseeing – without the crowds. Here’s how to do it. Jump on the L94 or 393 from Central to La Perouse, where you’ll be greeted with a view of the ocean and Bare Island out there in the distance. 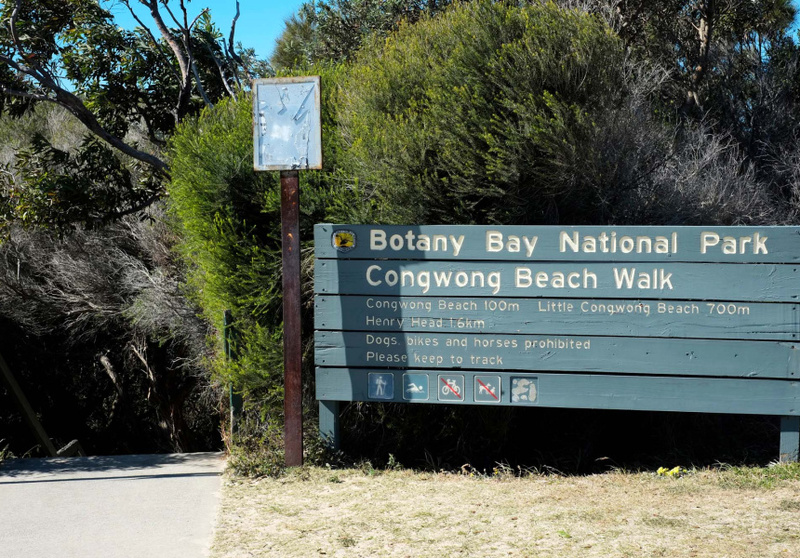 Across the street from the bus stop you’ll see a sign for Botany Bay National Park and Congwong Beach – this is your starting point. It’s also very sandy. Remove your shoes before descending the steps, but note you’ll likely put them on again as soon as you get to the next part of the track beyond Congwong Beach. 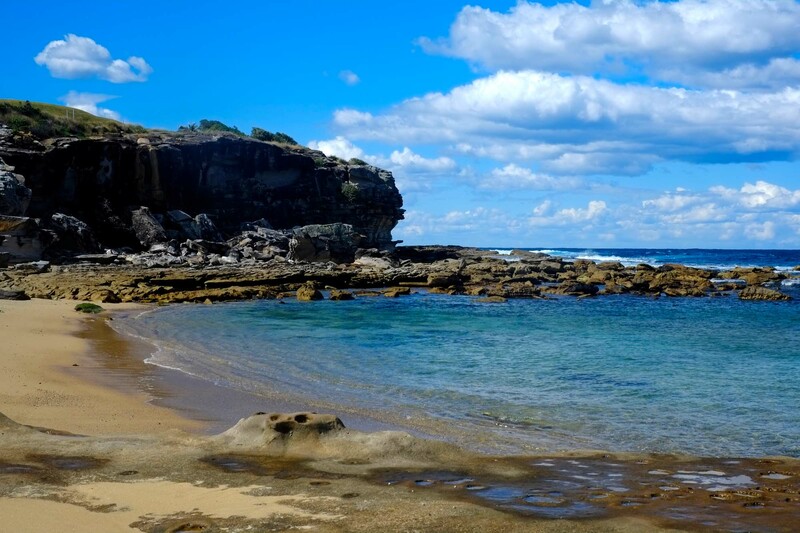 Protected by the heads from rough waters in Botany Bay, the sight of Congwong Beach transports you to the clear-watered idylls of a tropical paradise. 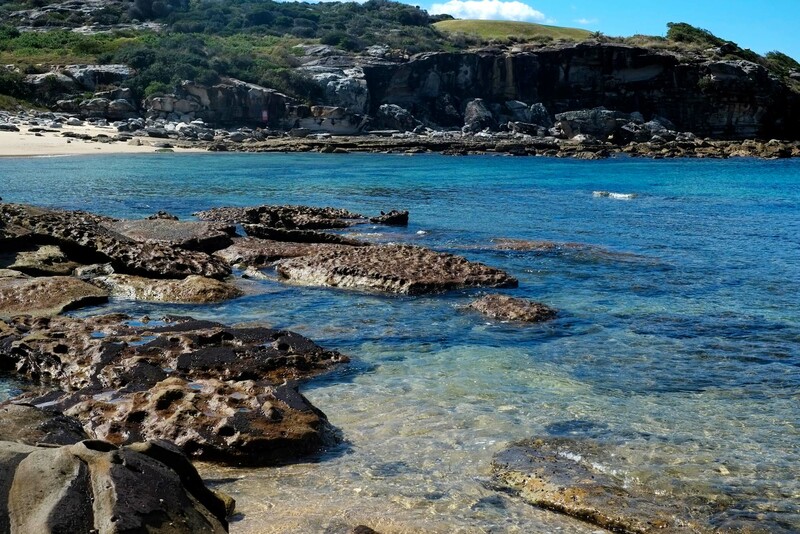 If you trek 500 metres further to Little Congwong beach, a more secluded version awaits. This smaller beach is definitely worth a visit, but if you’d prefer to forge on, keep left at the fork where the path breaks into two and start walking up the management trail. The path to Henry Head passes through some of the last remaining sections of the endangered ecological community known as Eastern Suburbs Banksia Scrub. Although the track is buffeted by dense bushland and can be uneven, rocky and sandy, the way is clear. Except perhaps for the occasional interruption by lizards (and sometimes snakes) warming in sun. There are several aging military structures built in the 1890s, but now they’re covered in graffiti. There’s a small lighthouse, gleaming white and picturesque. But if you think this is the best view you’ll get today, you’d be wrong. When you turn the bend past the cliff faces beyond Henry Head, the stony staircase leads down to a beach so pristine and untouched your footprints in the sand will likely be the only ones you see. The water at Cruwee Cove is a brilliant aqua, waves break over mossy rocks, and the tides unload a trove of shells on the sand. Stop here for a swim break before the next section. 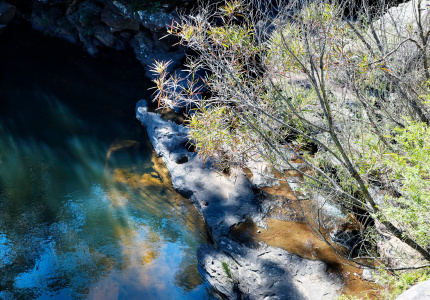 From Cruwee Cove your walk continues through NSW Golf Course to emerge at a very different scene, overlooking harsh rocky edges with deep black-blue waves rolling in. You‘re now positioned on the rocky headland looking back towards the mainland and rolling surf. From here you’ll spot a footbridge that takes you over to Cape Banks. 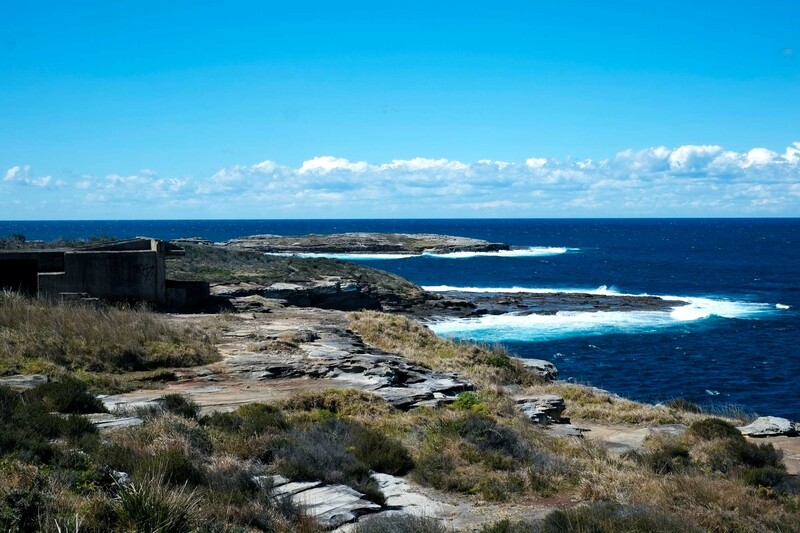 At the end of the headland you’ll see the shipwreck of SS Minmi, which crashed here on the rocks in 1937. The wreckage looks particularly epic when the tide is high and waves crash over the rusted hull. Onwards from Cape Banks you’ll turn inland past a pistol range and a helicopter hangar. There are small totem signs to guide you, so remember to keep a look out. Once you walk past the pistol club, turn right and head along a track that will lead you through the Historic Coast Cemetery. Leave the cemetery, turn left and follow the management trail north until you exit the national park and enter the next golf course. Hot tip: keep as close to the edge of the land as possible, or follow the golf buggies through to the end of the track, where you’ll find a set of stairs down to the idyllic and very secluded Little Bay beach. 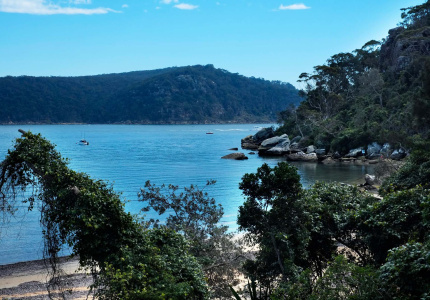 Like Congwong, the calm waters of Little Bay are a glistening aqua and make for the perfect end to your four-to-five-hour, 10-kilometre walk. Take another well-earned dip in the ocean. 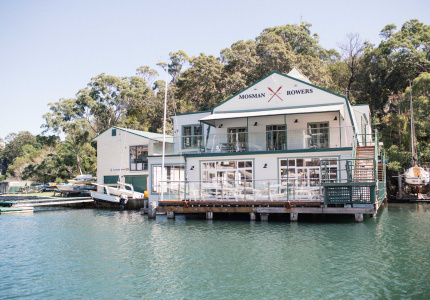 If the snacks you packed haven’t lasted, it’s only a short walk up to the Little Bay shops. 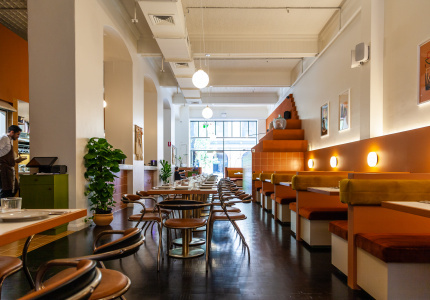 From there, head across Anzac Parade to find your bus stop and the L94 back into the city. 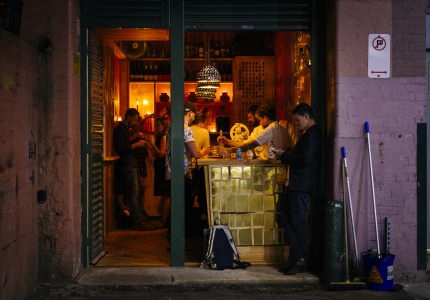 This article is produced by Broadsheet in partnership with NSW National Parks.